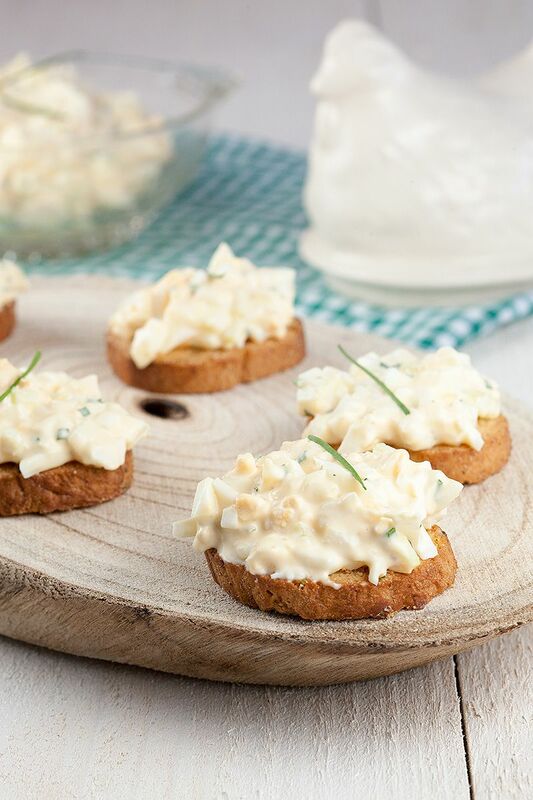 Delicious easy egg salad for on toast and sandwiches. 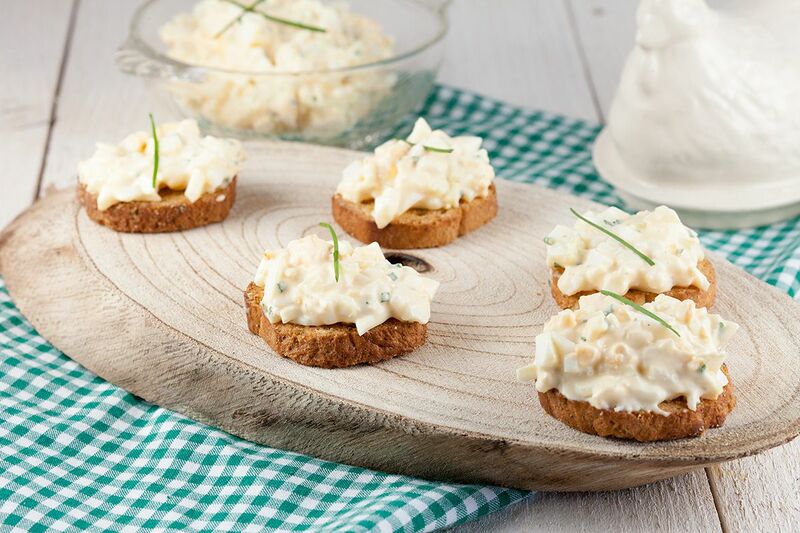 Not much ingredients needed to make this easy egg salad. Ready in < 15 minutes. Carefully place the eggs in a small pan and cover with cold water. Bring the water to a boil on medium high heat. When the water starts to boil, the time starts counting. 7 minutes until you’ve boiled the perfect eggs. Immediately CHILL your eggs, the most easy way to do this is using ice water or running cold water. Meanwhile finely CHOP the fresh chives, you’ll need about 1 tablespoon. RINSE and chop the celery stalk as fine as you can. PEEL the boiled eggs and transfer them to your cutting board. You can chop them with your chef’s knife, or use a fork. 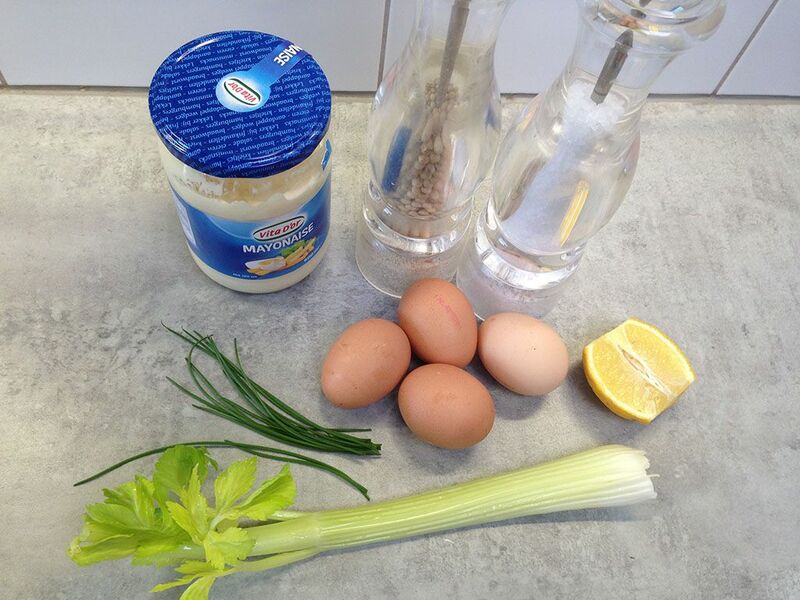 COMBINE chives, celery stalk, lemon juice, eggs and mayonnaise in the medium-sized bowl. Season with pepper and salt and serve with toast or bread. Garnish with some more chives if you like. 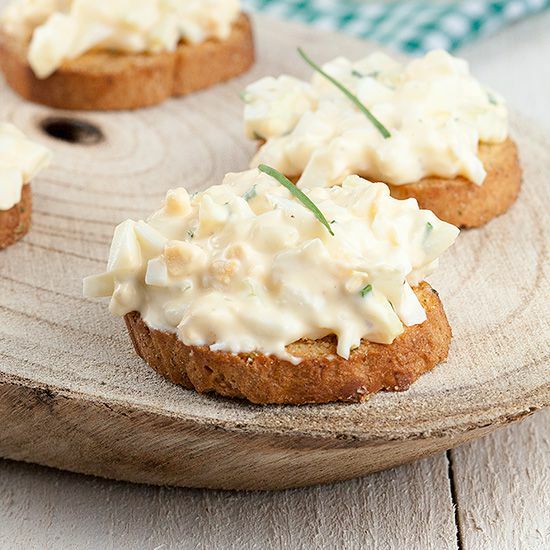 Allllllways looking for a good egg salad recipe to keep in my arsenal, and I think this one might be it! Looks incredible!